Kenyans have been angered by a lady who put down a young man for living in a bedsitter and having ‘low standards’. 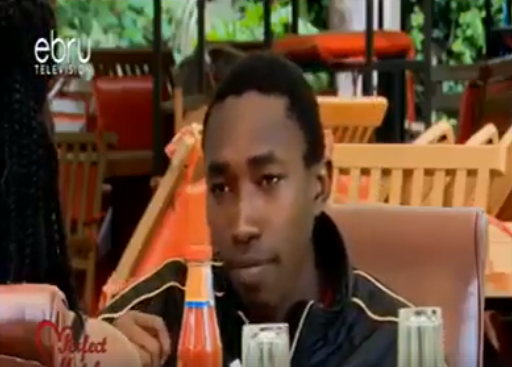 The two, who were on a date organised by Ebru TV, were having a light meal trying to establish some connection. Boy child couldn’t what the slay queen was asking. In the video, which has been shared hundreds of times on social media, the lady embarrasses the young man after he came out clean about his lifestyle. Kenyans have come out guns blazing saying that the lady has fake standards and should respect the man for starting from scratch. I’mari Debrah What typpa questions are those on a first date? 1. He is happy of his 20k and even goes ahead to acknowledge how he spends it. Dear God bless for me that young man, so that one day this girls will see his vision being portrayed in their neighbours Television. Classic Man Who else has noticed the blond questions. How much have you gone to that Club? Ans. Thrice. OK do you go clubbing like daily, monthly? Wtf!!! 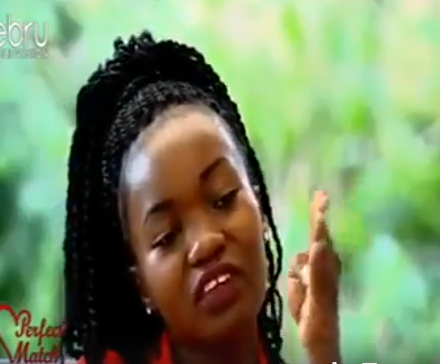 Muchiri Jane The blunt question;can you maintain me? Can you afford me? Sweetheart work hard and get your life together,you can’t claim your independence yet you far from it..
Christopher N Karanja Well to be perfectly honest, in my humble opinion, of course without offending anyone who thinks differently from my point of view, but also by looking into this matter in a different perspective and without being condemning of one’s view’s and by trying to make it objectified, and by considering each and every one’s valid opinion, I honestly believe that I completely forgot what I was going to say.